Aphrodite was designed to celebrate women of all ages, sizes, shapes and origins with high quality and unique clothing carefully chosen for those who enjoy how they present themselves to the world. Our boutique and gallery began in a big old house on Main Street Antigonish and on August 12, 2017 it moved to the town of Pictou at 104 Water Street. 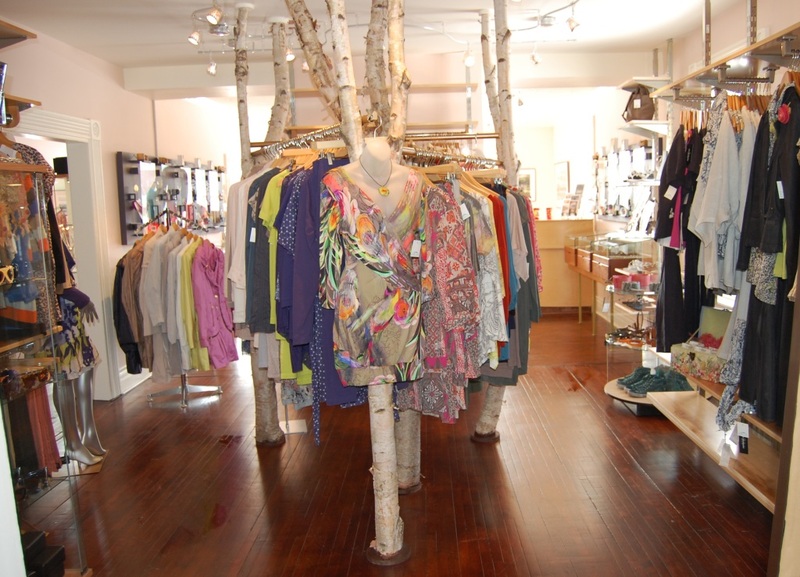 You will find fabulous fashions and accessories that that represent labels from across Canada, Europe and the USA. We encourage you to browse on your own but want you to know that our experienced sales staff will help you navigate colours, textures, styles and sizes that work best for you. We buy small selections of a broad array of fashions so you need not worry about meeting your self at a function or event. We carry handmade artisinal jewellery that finishes any outfit or stands alone as a statement of your individual expression. You will always find a beautiful selection of paintings and photography. At Aphrodite our aim is to make you look your best and feel great about yourself. Come in and experience the beautiful environment and just enjoy the creativity and aesthetics of the designers, artists and makers of all of the elements that complete our best expression of ourselves. Aphrodite Art & Fashion is the brainchild of Minoli Amit, who encouraged Tiiu Poder to consider opening a women’s clothing store. She noted a void for professional women who are travelling great distances to buy their fashions. The business concept was substantiated by an extensive survey of Antigonish women last spring. All indicators were favourable and after completing a comprehensive business plan, Amit and Poder took the leap and started the process of creating this new business. They investigated the provincial Community Economic Development Investment Fund (CEDIF) concept and quickly found a core group of women who were willing to invest. Over several months that group grew to 30 women who were drawn to the concept not just for the convenience of having a great store to shop in, but also for the tax benefits of investing. The CEDIF concept was developed over a decade ago to encourage people to invest in their local economies as an alternative to making investments into distant corporations with no local impact. In the fall of 2011 serious work began – spring stock was purchased in August and a suitable space had to be found. 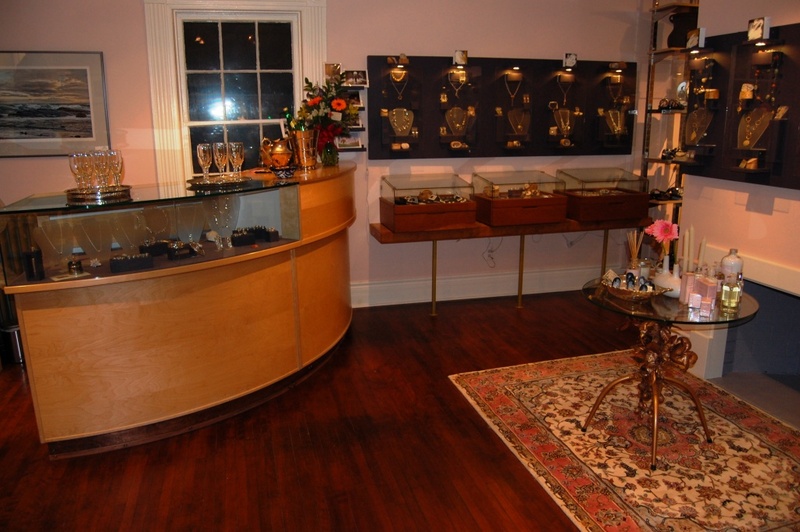 In January 2012, after the South of the Border business closed their retail arm, Aphrodite Art & Fashion Inc. moved in and began major renovations and store design. After almost ten weeks of preparation, the store 0pened to the public on March 10, 2012 at 10 a.m. On the preceding evening of March 9, the investors, artists and other contributors were honoured at a celebratory opening featuring Nova Scotia’s Laura Smith and fiddler Glen Graham. The store continued until July of 2017 and moved to Pictou. A new spirit has arrived in downtown Antigonish. It’s called Aphrodite, an Odyssey of Art & Fashion. This 2500 square foot boutique and gallery at 292 Main Street is situated in what is known in town as the white house – an historic building reputed as the second oldest house in town. Main Street is now home to this innovative clothing store aimed at the professional woman – filling a long time void in the region. Aphrodite carries over 30 distinctive lines of clothing chosen for women of all ages and sizes featuring designers from across Canada and Europe. Atlantic Canada is home to many talented artisans from which some outstanding jewellery designers have been chosen to showcase their work in a specially designed gallery. Aphrodite embraces a lifestyle concept that extends to fine craft such as blown glass, handpainted pottery and sculptural woodwork that is exquisitely displayed in the conservatory of its splendid home. The end result is an original space full of unpredictable creativity that delights the eye and the soul.